Formed in the French town of Ariège in the Midi-Pyrénées by guitarists Jean-Laurent Pasquet and Jérémie Delattre, since their formation in 2011 DoctoR DooM have blazed an impressive underground trail for followers of new, authentically crafted hard rock, metal and progressive blues. Having come together out of a shared appreciation for forgotten 60s and 70s music, it didn’t take long for the duo to find kindred spirits in drummer Michel Marcq and bass player Sébastien Boutin Blomfield as they sought to pull together the rhythm section required to knock out a monumentally heavy live set. Initially performing covers of Coven, Thin Lizzy and Deep Purple, out of the riffs and drum rolls of old grew new, original numbers that would later surface fully formed on their 2012 debut DoomO EP on STB Records. 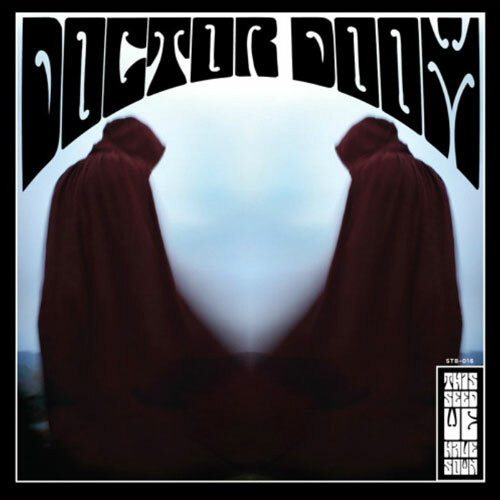 This Seed We Have Sown by DoctoR DooM will be released worldwide on 24th July 2015 on Ripple Music, with a limited vinyl released on STB Records out toward the end of June.